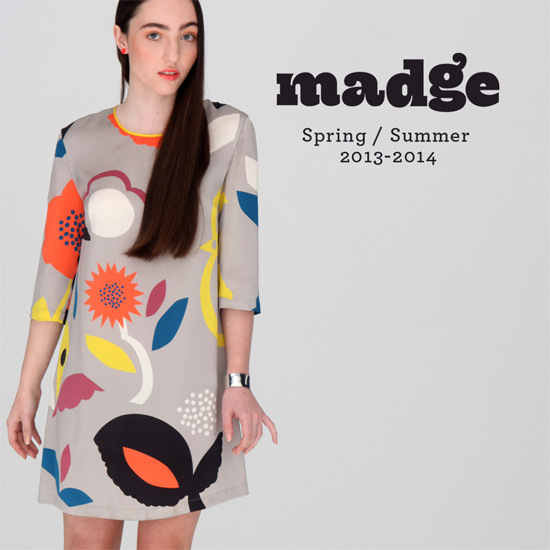 I met Luisa Franco from Sydney lifestyle label Madge at our abcd social last Wednesday night and when I spotted this dress from her new collection on in her online store I had to share it with you quick sticks. This is the Flores shift dress in 100% silk - designed, printed and made in Australia. Super-cute, luxurious, and great with tights too. I can't wait to see more from the collection Luisa!